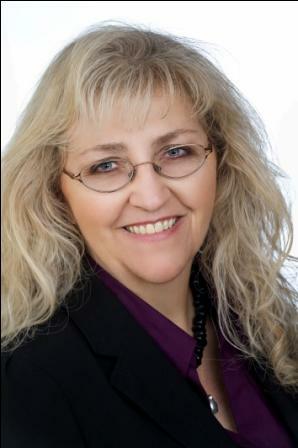 Today’s special guest is Dianne E. Butts, who has more than 300 published print articles, numerous online articles, has contributed to 19 books including Chicken Soup for the Soul books. Her second book, Deliver Me, won a Nonfiction “Book of the Year” from Christian Small Publishers Association in 2012 and her third book, Grandparenting Through Obstacles (coauthored), won a Nonfiction “Book of the Year” from CSPA in 2013. Dianne’s books are available from all major online outlets. An aspiring screenwriter, Dianne was a semifinalist in the Kairos Prize for Spiritually Uplifting Screenplays in January 2013. A short script, inspired by a true story in Deliver Me, was a finalist in the 168 Film Project’s “Write of Passage” competition in 2010. She wrote, directed, and co-produced a short film, “The Choice” for the 168 Film Project in 2012, a script also inspired by a true story in Deliver Me. 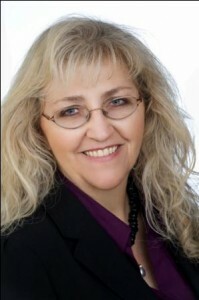 Dianne is a member of Advance Writers and Speakers Association. In the aftermath of the events of September 11, 2001, I’m sure most people were like me: wanting to do something but not knowing what to do. For a writer, what else can you do but write? I didn’t have any loved one directly involved in those attacks on America that morning, so I wondered what I could possibly say or write about them that might help someone. But two issues came to my mind: grief after the loss of a loved one, and how to know God and understand the Bible. So many people lost loved ones that day. Many more have lost loved ones since – whether in the wars that followed or in ways unrelated to 9/11. Grief is one thing I know about and one thing I could write about. I was fifteen when my Dad died of pancreatic cancer. Only a few years later my big brother, who was a Marine, was killed by a drunk driver while home on leave. The other issue that came to me in the aftermath of September 11th was how can we believe in a good God, the God of the Bible, in the aftermath of such an attack? Why would God let this happen? Is He there? Does He care? These are questions I see many people struggling with even today—a dozen years later—and it has become my life-long passion to share my Christian faith with others and answer why I believe God is there. And He does care. And He is involved in human history. And just because people who hate God and hate Christians attack the one nation that has been known as a Christian nation does not mean God does not exist or does not care. My passion is to show others why they can believe in the God of the Old and New Testaments as well as what is happening in our world today in light of the Bible. In Dear America I wrote about how the over-arching story of the Bible is the most beautiful of all stories. It rings true with our souls because we are created to recognize and long for the greatest story in which we are living. The Villain’s Plot: Satan deceived Eve and Adam. They disobeyed God, which brought sin into the world. And sin brought death into the world. Everything changed. The Hero’s Quest: The Hero comes in disguise to win back the heart of his beloved! God came as a human, Jesus Christ, to win back the hearts of people. He taught about the one true God and the real, true heaven. But sinful people brought Him to His death. All seems lost in this story. But God knew that would happen all along! In fact, that was part of His plan. Jesus Christ rose from the dead, paying the sin = death penalty for all who willingly choose to receive it. Jesus, therefore, conquered death forever more. The Final Conflict: Jesus conquering death could be viewed as the final conflict of this story. Or there is a conflict yet to come… which is what I believe we are seeing coming all around us in what is happening in the United States and in the world. But do not be afraid, because God wins the final conflict. And if you are on His side, He will carry you through to victory also. The Hero story of triumph is written on our souls, and we are not satisfied with any other story line. God created us to recognize this truth and to love Him, our Hero. I then gave some basic information about how to read the Bible for those who are new to it. So often I think we tend to assume that everyone has a certain level of knowledge about God and the Bible, and that just isn’t true. I shared the things I wish someone had told me when I didn’t know the first thing about the Bible. 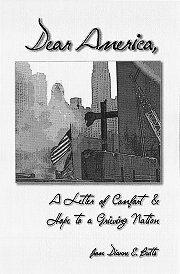 Dear America: A Letter for Comfort and Hope to a Grieving Nation was my first book and it is only 52 pages long because in the midst of grief and the crisis of 9/11, I wanted to create a book that could be easily read in one sitting. Currently it is available exclusively on Amazon.com both in print ($6.95) and on Kindle ($2.99). I really appreciate this interview with Dianne Butts. What she has written offers comfort and help to those people who are suffering grief from the loss of a loved one–as Dianne has suffered that grief herself. Writing that helps us understand better God’s plan is always a blessing. I’d like to read these works myself. Thank you Fay and Dianne.